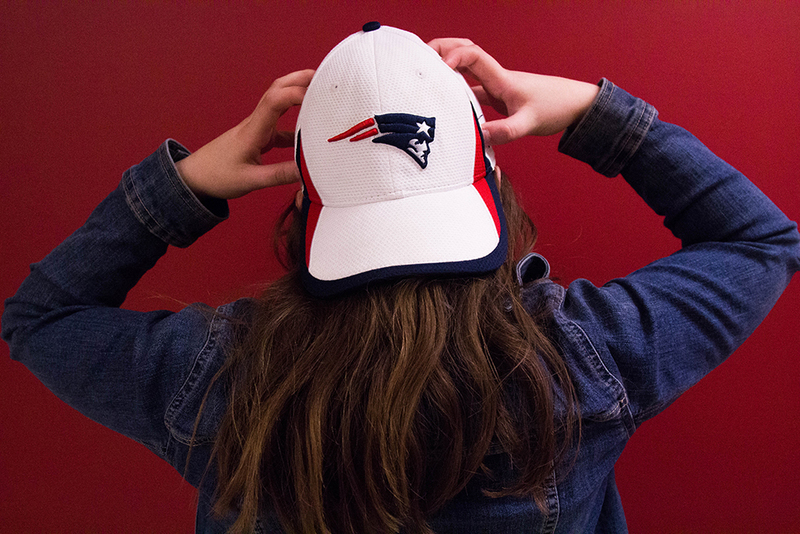 I was raised on red, white, and navy blue—on game day nachos, screaming at the TV, and a godlike vision of Tom Brady. When it comes to the rules of the game of football, I can’t tell you much. I know the touchdown, the interception, the two-point conversion. But that’s not even the point of it to me. It’s a loved one walking through the door, wearing a jersey and carrying a six-pack. It’s clutching my best friend’s hand as the clock winds down. It’s laughing as my dad jumps off the couch and stomps around the room with his hands in the air after every touchdown. It’s a family tradition, a regional routine. For me, the idea of a Sunday game can be as comforting as Christmas Day. So when I hear about the friendship between President Donald Trump and the New England Patriots trifecta—head coach Bill Belichick, quarterback Tom Brady, and owner Robert Kraft—I want to stick my fingers in my ears and hum as loud as I can. I don’t want this team that symbolizes so much good, hope, and comfort to me tainted by an administration whose policies threaten my identity as a queer woman (and a journalist at that). But blind enjoyment is blindness to oppression. People gather around sports worldwide. Whether it’s FIFA, the Olympics, or the NFL, this primetime entertainment fosters a sense of community. And that’s a beautiful thing. But these industries come with unthinkable injustices—human rights violations and political corruptions—that we can’t simply ignore. We can have our sports. We can treasure them and celebrate them. But we must also recognize the power that exists in these institutions, and the privilege of blindly enjoying and celebrating them. In 2014, John Oliver opened a segment on his late-night show Last Week Tonight by describing a phenomena he called the Sausage Principle. “If you love something, never find out how it was made,” he explained. Oliver’s sausage was the FIFA World Cup. In the episode, he detailed the disgusting corruption of the soccer organization, including leeching off the economy of 2014 host country Brazil with a series of tax exemptions, amplifying the abuse of workers constructing stadiums for the 2022 games in Qatar, and countless bribery scandals. But he confessed, each episode, how excited he was for the World Cup. He’d spent his whole life following soccer. Despite this, he did his part as a late-night host to bring the facts to his viewers. He was able to do both concurrently. These failings aren’t unique to FIFA. The NFL has seen scandals far more egregious than Kraft, Belichick, and Brady’s hushed support for our xenophobic president. It took public shaming for the Baltimore Raven’s to remove Ray Rice from the team after several videos were released of him hitting his wife. The Minnesota Vikings’ Adrian Peterson was indicted on charges of child abuse, but he still plays for the team after serving a year-long suspension. There have been ongoing investigations into claims that the league has failed to protect its players from violent concussions and subsequent brain damage. Even the way people celebrate sports can be mindless. When the game clock hit zero on Sunday, screaming Patriots fans flooded the streets. Thousands migrated to Fenway or Boston Common to celebrate. As my Lyft driver navigated the busy streets of Fenway to bring me home Sunday night, we saw a shirtless man climbing a lamp post. He was punching the attached street sign as he chanted Brady’s name. A passing police officer on a bike stopped, told the man to get down, and left. “If this were a protest, they’d tear gas this whole place,” my driver commented. Rallying to celebrate a sports victory is a luxury. People take to the streets every day because they have to—because that’s how they protect their rights. When Black Lives Matter organizers are being dragged across the pavement, when law enforcement turns hoses on protesters on a frigid North Dakota night, those of us who filled the city for the Patriots can’t turn our backs.